When you buy your tickets through Fandango you will get a free song download, Phantogram’s “Lights,” a track from the upcoming original motion picture soundtrack. In addition, you will be entered to win one of over 17,000 prizes including HD movie downloads of “The Hunger Games” on Amazon Instant Video, thousands of Fandango movie tickets, and even a trip to the island of Oahu with Hawaiian Airlines to stay at the world-class Turtle Bay Resort, where the movie filmed an action scene at one of its private coves. 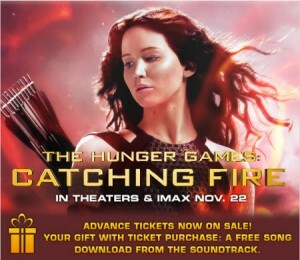 Visit Fandango today to order your tickets!